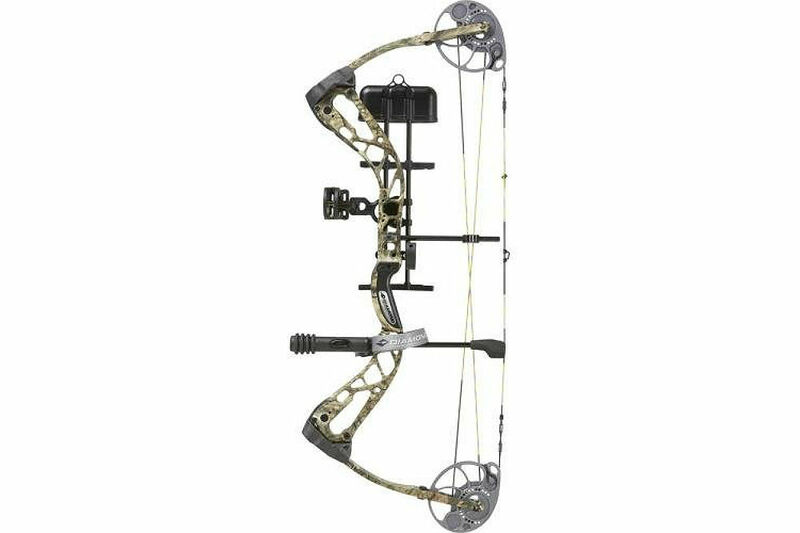 This compound bow by Diamond Archery is a product of high technology from a trusted manufacturer of bows and arrows. The product is easy to use and is made of good quality materials. The weight of the bow is only 3.6 lbs., and is easy to carry around. 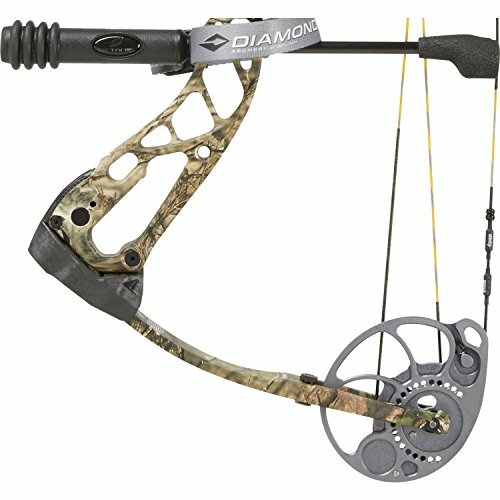 The Diamond Archery Compound Bow is great to use when hunting because of the draw weight at the maximum of 70 lbs. The cams are durable which makes drawing smooth and easy. The string is durable and will not fray. The manufacturer gave 15” more string so that the bow can be used by any type of user. 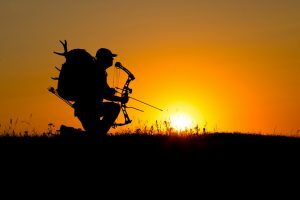 The power of the draw causes the arrow to travel at 318 feet per second. The arrow is shot accurately and stays powerful even at long distances. The string runs between two axles which are 30 inches apart. The brace is stable at 7” and gives stability to the entire bow. The limbs can be adjusted to produce up to 63 lbs. of weight. Has mass weight of 3.6 lbs. Can produce weight of 7-70 lbs. Limb can be adjusted up to 63 lbs. This is a product that is designed for skilled archers who have experience in hunting. 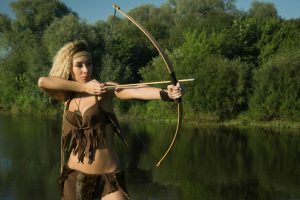 The bow is powerful and can accurately hit the target, even at far distances. 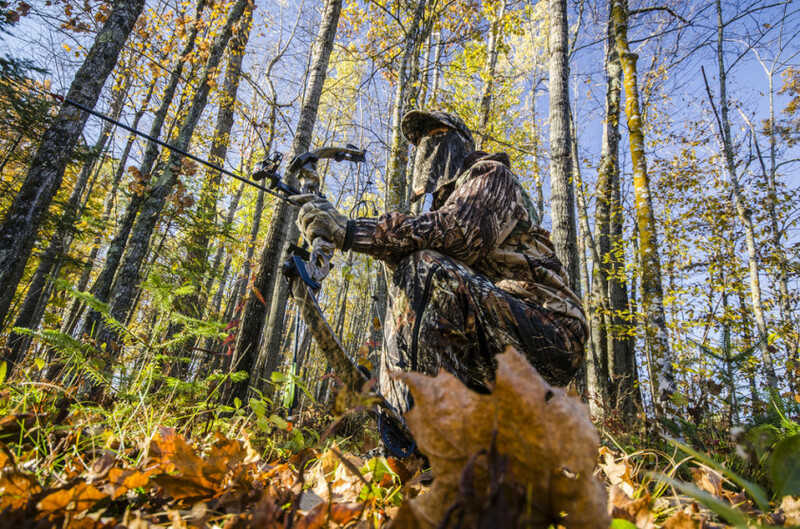 This is a durable and well-built bow that can deliver well for hunting. The string draws energy as much as 70 pounds and the limbs can be adjusted for bigger power. The height of the brace is 7” and brings good stability to the arms of the bow. The let-off is at 80% which means that the target will be hit at high accuracy and deep penetration. The speed of the arrow is high at 318 feet per second and can be used for hitting targets 20 yards from the user. The string is well-placed and secure, and will not require locks to keep it on the cam. This is a high-tech product that is light at 3.6 lbs. The grip is firm in the hands and will not cause strain to the arms and shoulders. 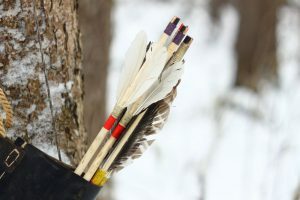 The intensity of the arrow is maintained even if launched from a far distance. 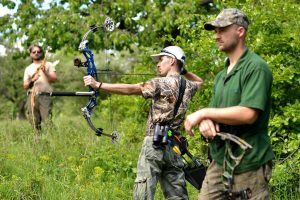 For beginners, this product can also be used and can be effective is learning the basics of hunting. The power of the draw can be adjusted according to the users’ skill. The draw length is a maximum of 30”, which will enable the arrow to travel at a greater distance and with a higher intensity. The string is durable and will not fray. The bow can be tuned as the users’ skills progress, and there will be no need to buy a more advanced unit. The product is versatile and can be used both inside and outdoors. The major feature of the bow is that is can be easily adjusted to stronger or weaker power; adjusting it can be done with an Allen wrench. The product can be used as soon as it arrives, and tweaking by a technician will not be necessary. The price of the product is reasonable and it is long-lasting. The strings only need replacement once a year, and all parts remain intact. The manufacturer provides a lifetime warranty as long as the user registers the product on the website. The product’s mechanism is complicated and beginners must read on background material to learn the functions of its components. 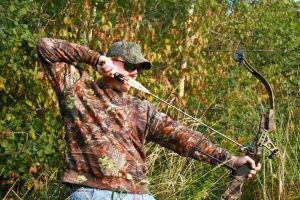 A beginner will have to take time to get used to a compound bow if the user is not familiar with archery basics and safety. The product is only good for hunting, and will be dangerous to bring to indoor courts if the string is not adjusted. The product is excellent for professional and seasoned archers who are interested in hunting. The bow is well built and has high technology cams that make the arrows travel farther and stronger. The draw weight is high and there is intense power on every shot. 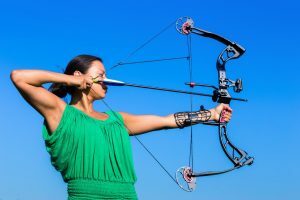 The stability of the brace makes the arrow hit the target with higher accuracy. The structure of the brace is good and can support the string as the energy is transmitted from bow to arrow. This is a product that will make hunting and archery fun and intense for both amateur and advanced archers. 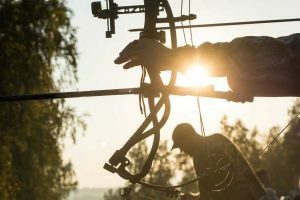 As much as beginners can use the Diamond Archery Compound Bow, new users should learn the safety precautions necessary when engaging in archery.